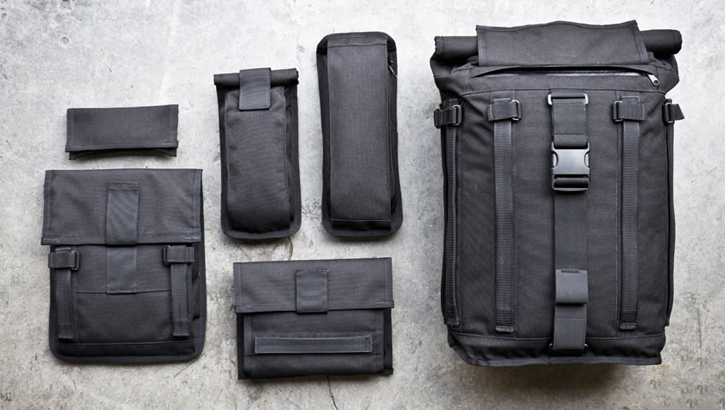 Mission Workshop has launched its new modular backpack series called the Arkiv Field Pack. The Arkiv Field Pack backpack is built to carry lots of gear, endure some vigorous travels, and it's completely weatherproof being that it's made with durable 1000 denier nylon exterior, waterproof urethane zippers and a weatherproof urethane coated nylon liner. An interchangeable accessory system that consists of six different add-ons that utilize unbreakable steel hardware, allows for for the pack to be arranged to meet specific needs, and gives the pack freedom to evolve and adapt as needed. This allows users to build their ideal bag, reflecting individual preferences and specifications. Accessories are simple to attach with the Arkiv system, and can be changed on a daily basis. Mission Workshop's new Arkiv Field Pack backpack is available in Black Cordura nylon, Dark Gray Cordura nylon and Waxed Canvas with the choice of two sizes: small (1,200 cu. in.) and large (2,200 cu. in.). Prices start at $209 and $229 for the bags and $30 for accessories, respectively. You can pre-order and customize yours to your specifications right now. The Arkiv Field Pack begins shipping on June 15. See it in action right after the cut! Do you consider yourself to be a pretty boring type of person? If so, then here's the perfect, low-key messenger bag made exclusively for you and your gear. It's the Boring Bag made by iLoveHandles, and it's as simple as they come. The Boring Bag features two interior pockets that are designed to fit either a 15-inch or 17-inch laptop along with a some of your small daily essentials. This plain bag is made in the US out of dark gray waxed twill canvas, plaid flannel lining, heavy-duty cotton webbing strap, and cast-metal hardware. Priced at $129.95. Thanks for the tip, Avik! WaterField Designs has introduced its latest travel gear bag to continue its ever so popular Muzetto line, the Muzetto Outback. It's a waxed canvas version of the popular Muzetto line, and it looks beautifully rough. The perfect bag for scruffy looking guys I'd say. The Outback is available in dark brown cotton canvas that gains character over time, a choice of six accent colors and five sizes enough to fit up to a 15-inch laptop - two designed specifically for the new Apple iPad. The Muzetto Outback is available for pre-order now; and begins shipping by March 26 with prices starting at $149. Colcasac's latest shoulder bag slash messenger bag is just as impressively unique as any of Colcasac's protective sleeves and bags, but the Juan Valdez will especially attract the coffee addicts. 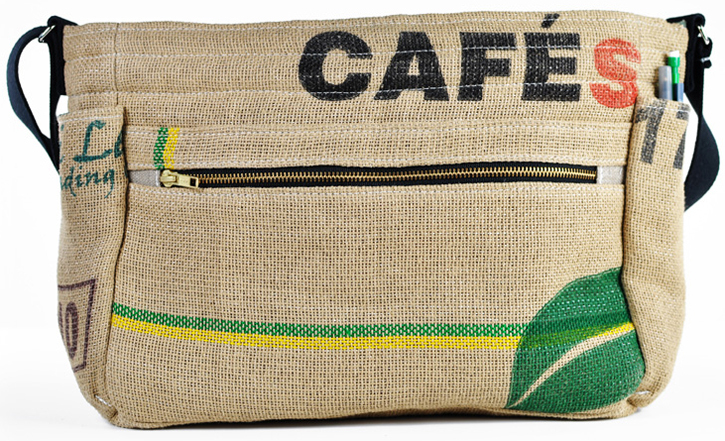 The Juan Valdez shoulder bag is entirely made out of durable, reused organic hemp jute coffee bags that were actually used to transport coffee beans deep in Colombia. The beautiful exterior has the right authentic look while the cleaned interior still has that great leftover coffee scent. The Juan Valdez shoulder bag uses natural heavy duty hemp canvas that's soft to the touch and colored with non-toxic dyes. 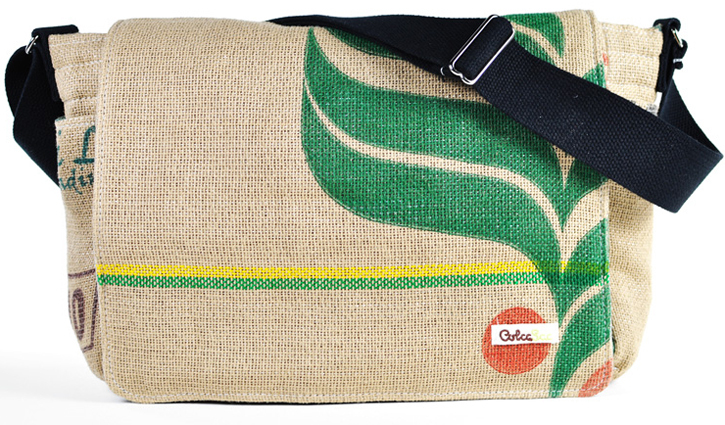 This is the perfect gear bag to go green. The Juan Valdez shoulder bag will fit up to a 17-inch laptop with enough room for an iPad and features one exterior zippered pocket, two interior pockets, a large compartment lined with soft recycled fleece and a Velcro secured flap to keep all your gear protected. You can pick one up right now for $185. Incase has recently launched its latest Camera Collection line of camera gear bags that has been redesigned and expanded to cover professional and consumers photographers alike. Incase's latest camera bags are made from durable heathered fabric exterior and range between upwards of $169.95 to $69.95, not counting two other point-n-shoot camera pouches. Full detailed breakdown of each bag including video awaits you after the break. Bags get thrown around carelessly, stomped over and get filthy from those dirty floors at the office. Who thought our bags filled with expensive and valuable gear would ever need their own chair? Workiture are the cleaver guys behind this magnificent modern furniture made exclusively to handle your gear bag. 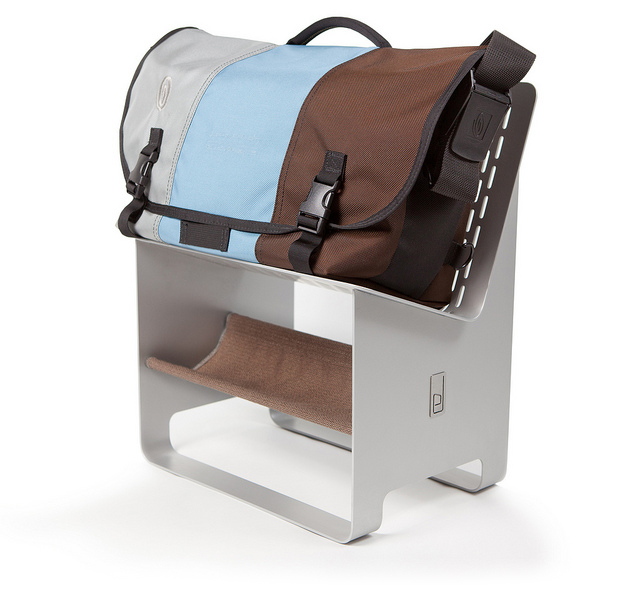 It's called the el BagPed and it's made from a sturdy, cold-rolled steel and powder-coated with various different color finishes. The el BagPed is designed in a way so that you can place your bag on higher ground and away from potential risks while also providing an elevated platform for a more comfortable access to your bag. In addition, you can add a bottom shelf and customize it with different colors and fabric materials if you really feel fancy and going all out. The el BagPed is available to order starting from $169. 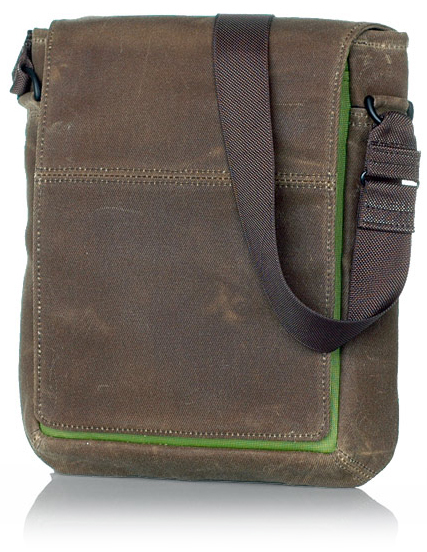 WaterField Designs released a new bag for the iPad, iPad 2 and iPad 2 with a Smart Cover called the iPad Travel Express calling it an "all-in-one mobile office solution". The iPad Travel Express is a slim, protective shoulder bag that can store your iPad with additional accessories like a wireless keyboard, mouse, charging cables and a power brick. The iPad Travel Express comes in a black ballistic nylon material with a selection of six different colored stripes for $69 and for an additional $12, an optional shoulder strap. It's available right now.